Wait, rings have styles? That’s something new to consider. What are the different styles, and what is each supposed to say about the type of person who buys it? 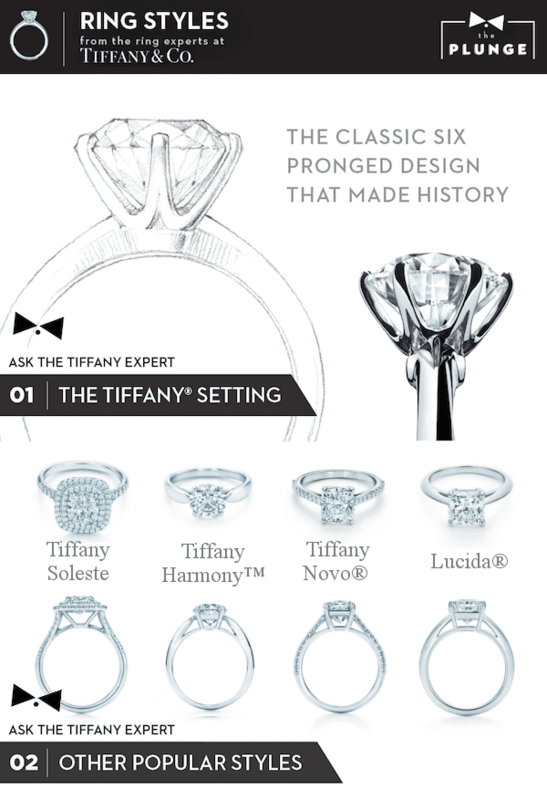 The six-prong Tiffany® Setting introduced in 1886 is still one of the world’s most popular ring styles. 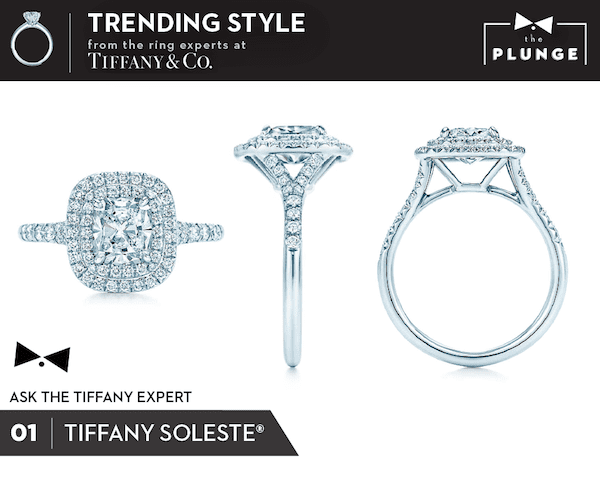 Other Tiffany styles that are also incredibly popular include: Tiffany Soleste, Tiffany Harmony™, Tiffany Novo®, Lucida® (Tiffany’s own patented diamond cut and setting), and fancy-cut shapes (oval, pear, emerald, heart and marquise). 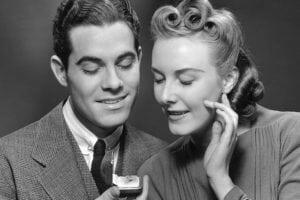 The most common styles of engagement rings include classic, modern, vintage-inspired and romantic. So, determine what her personal taste is and go from there. So I understand there are 4Cs to worry about. But there’s also an S? Is shape different from cut? 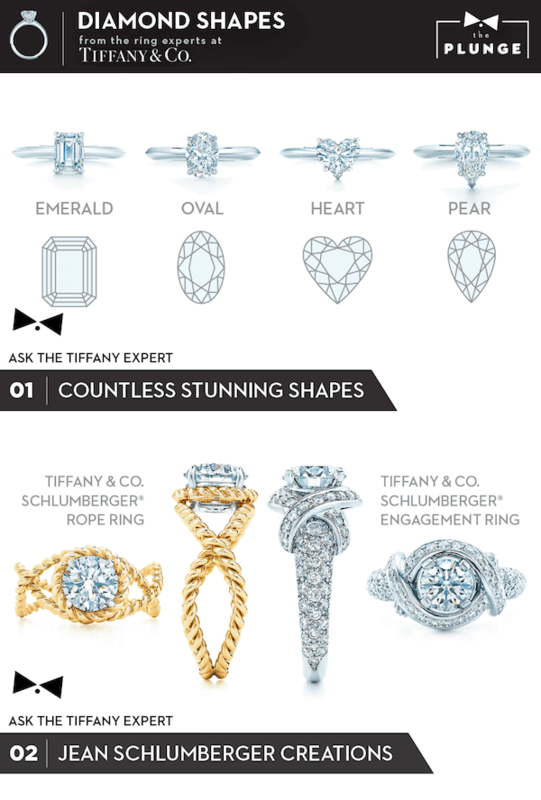 Tiffany & Co. fancy shape diamonds are offered in the masterful emerald cut, the sumptuous oval, the romantic heart and elegant pear, just to name a few. Tiffany also offers the lush, intricate creations of Jean Schlumberger, known for his fanciful, nature-inspired rings that truly stray from tradition. These innovative engagement ring designs range from a yellow gold rope setting that encircles the diamond to a setting of sculptural diamond ribbons surrounding a dazzling center stone. Whichever unique option is chosen, you’re allowing the wearer to express one’s own individual style effortlessly. How much effect does the shape have on the price of the ring? Are more unusual shapes more pricey? Tiffany offers the finest diamonds set in superlative settings. 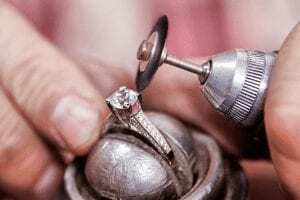 There are many factors that go into the price of a solitaire diamond ring, including the quality of the cut of the stone, the artistry in the design of the setting, and the craftsmanship in creating the diamond ring. At Tiffany, prices range from $1,000 to more than a million. My girlfriend is a bit of a trendsetter, so I really need to get this right. What is the most cutting-edge (wordplay!) shape right now? The beauty of engagement rings is that they are so personal to the giver as well as recipient. 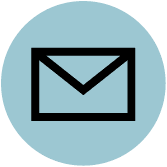 While an engagement ring may follow a certain trend, the ring itself is more telling of the personal story shared between two individuals rather than what may be considered on-trend at the time. We have seen a revival in fancy shape engagement rings – Emerald Cut, Oval, Heart Pear, as well as the Soleste® style with a brilliant surrounding of bead-set diamonds on a diamond band. We’re excited to see these styles resurface. Are there some shapes we should avoid like the plague? 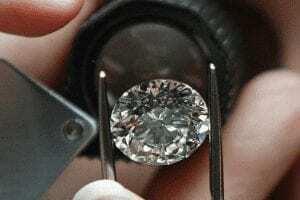 The beauty of a diamond is you can’t really go wrong. With that said, everyone has their own personal style. Round is timeless, while an emerald cut is more modern. Shapes like heart and pear are not as common today, but certainly there are brides who prefer this unique look. So, there’s nothing you should avoid like the plague, but just be aware of your bride-to-be’s personal taste. What about colored diamonds? Is that OK, or considered tacky? Ever growing in popularity are colored diamond engagement rings. 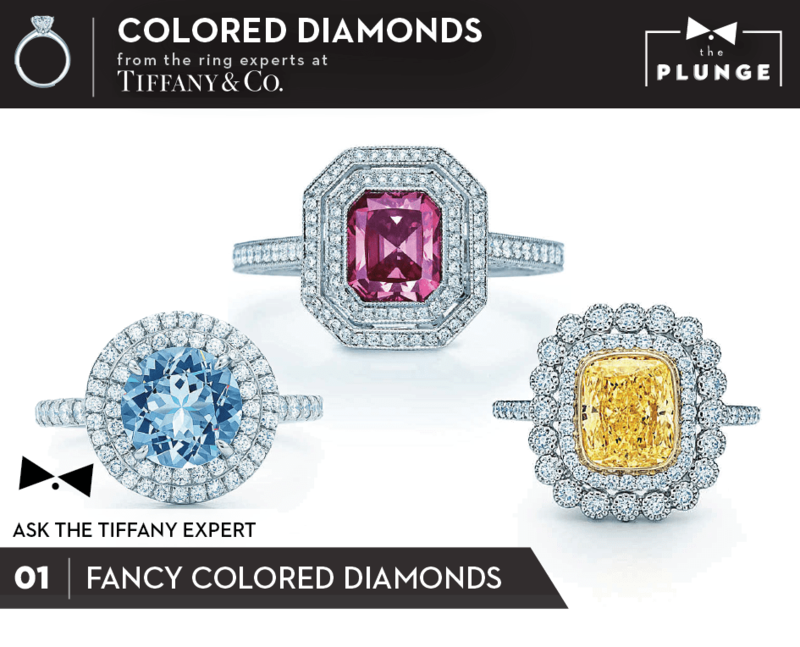 Tiffany colored diamonds are most definitely part of an elite class. 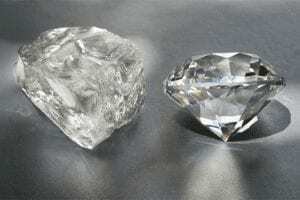 Only one in 10,000 diamonds is a fancy color and of those, very few meet Tiffany’s standards. Those that do have a deep enough natural color to qualify as a fine, fancy color diamond pay stylish tribute both to love and the mysteries of the natural world. Each Tiffany stone is precisely cut to maximize hue and radiates exceptional color, with perfection of tone and saturation.